It is often highlighted that employees are the pillars of an organization. The more skilled and efficient they are in their work, the more chance a particular organization has of succeeding and growing in the future. 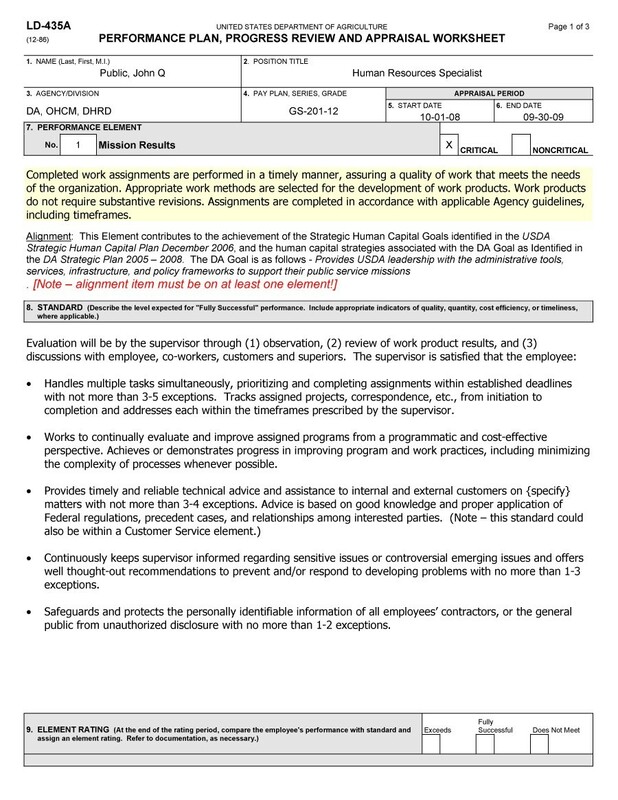 This is why many organizations, from businesses to hospitals and military establishment all require a system by which they can assess the performance of their employees to keep track of their skills development and appraisal purposes. 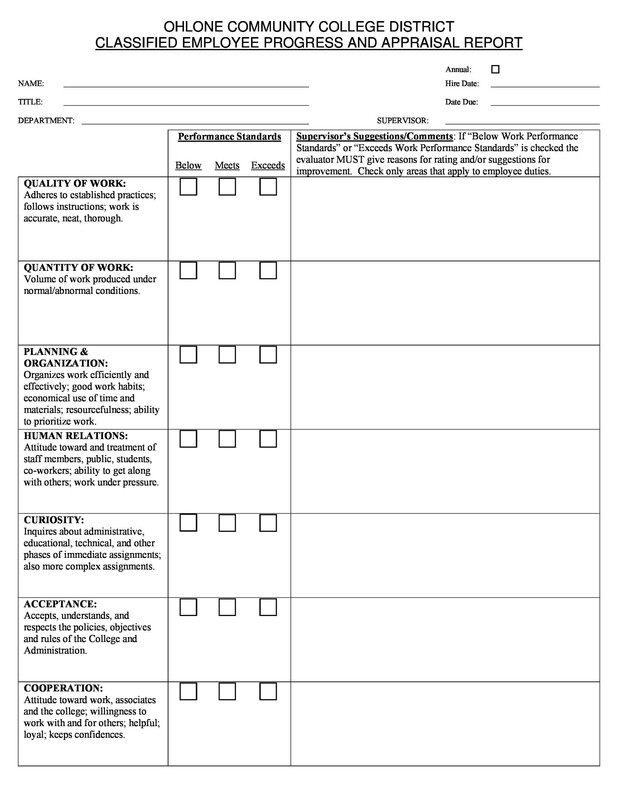 1 What Is A Performance Review? 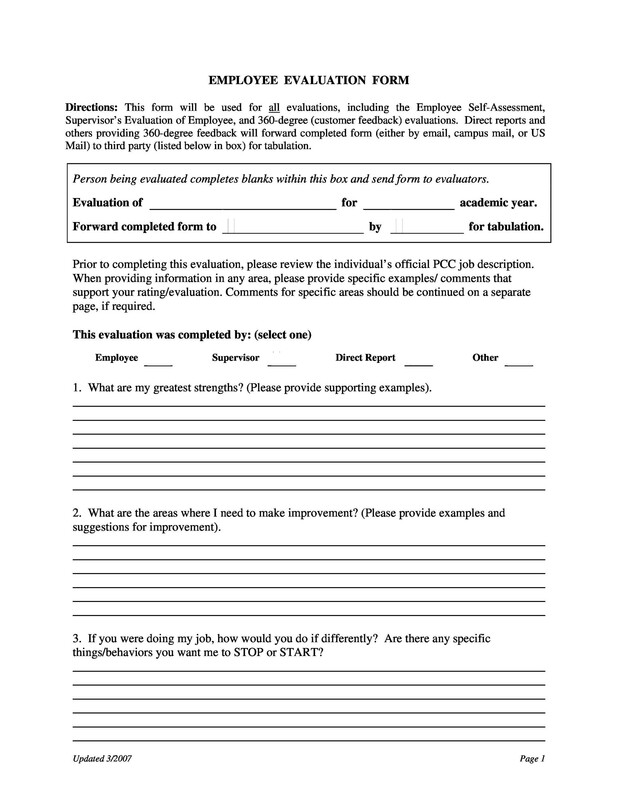 6 How to Prepare a Performance Review Form? 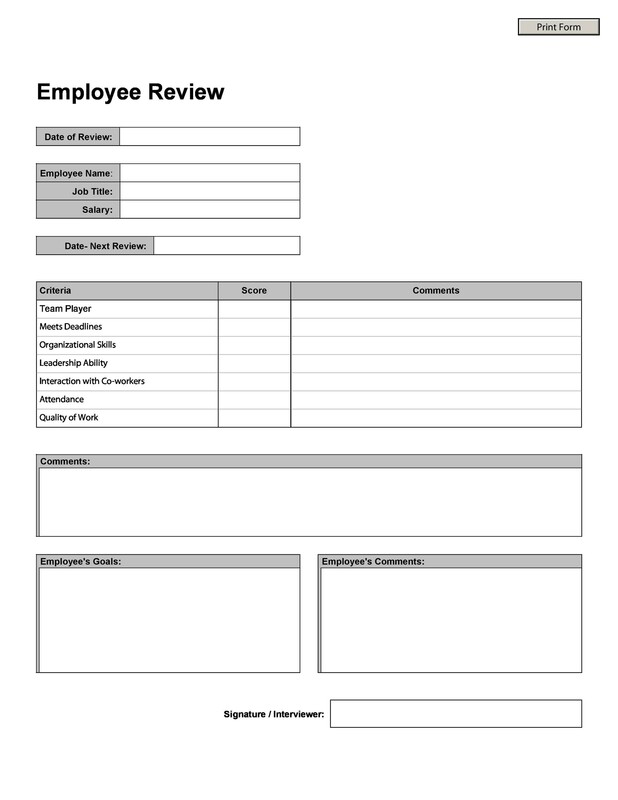 If you own a business with many employees, making use of effective performance review examples will be essential for cultivating your human resources and maximizing your business growth. 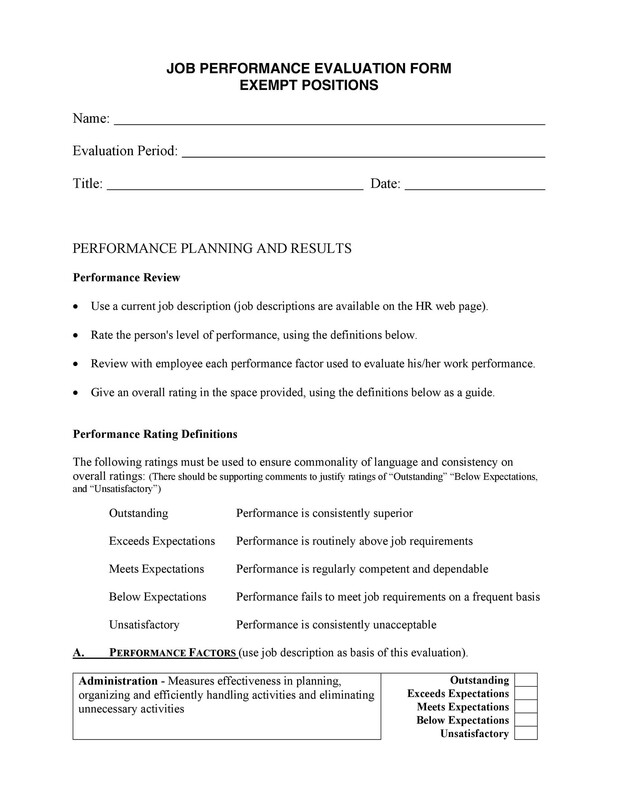 What Is A Performance Review? 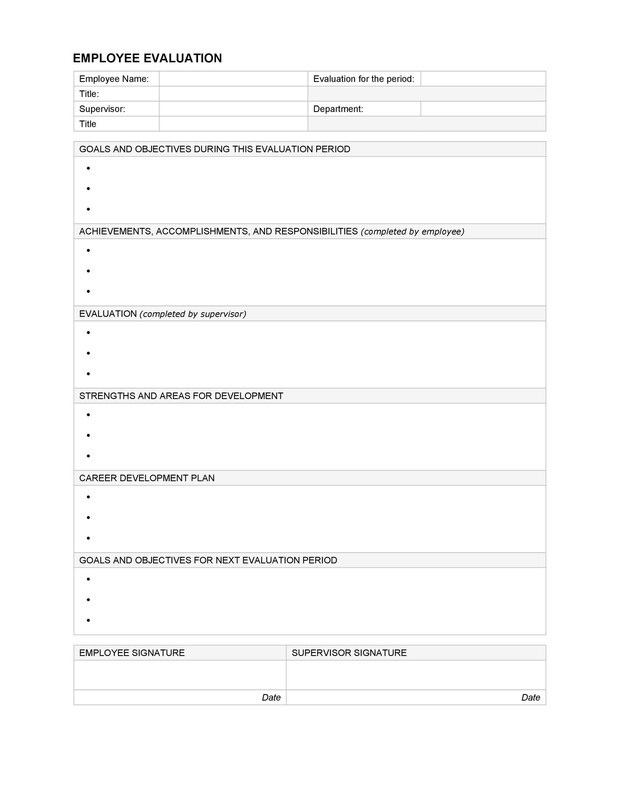 A performance review, also referred to as a performance evaluation or employee review form, is a means of collecting relevant employee data with regards to their output for performance evaluation. Given that employee performance reviews are assessed consistently, performance reviews are periodic in that that their details are collected and reviewed on a constant basis. 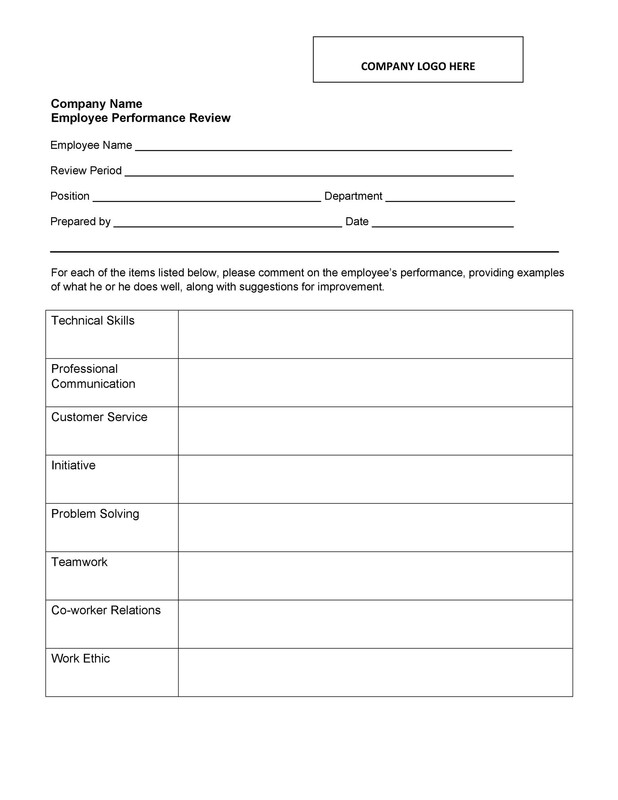 The exact components of the performance appraisal form will vary from one business to another. In most cases, the performance reviews are evaluated according to an overall score rating that gives managers and supervisors an appropriate measure to compare the performance of different employees. 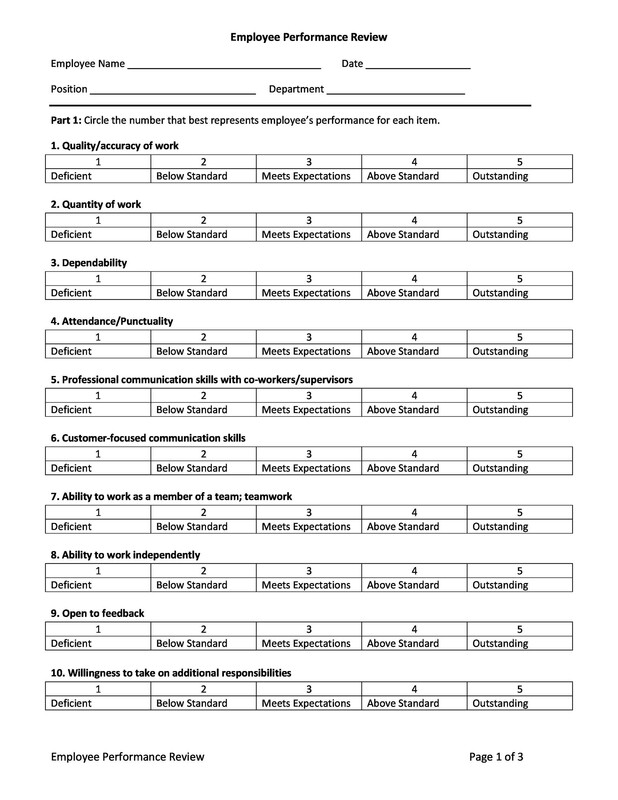 In other cases, a rating scale might be used that will be used to gauge how the behaviour or performance of an employee corresponds to pre-defined parameters of success or failure. 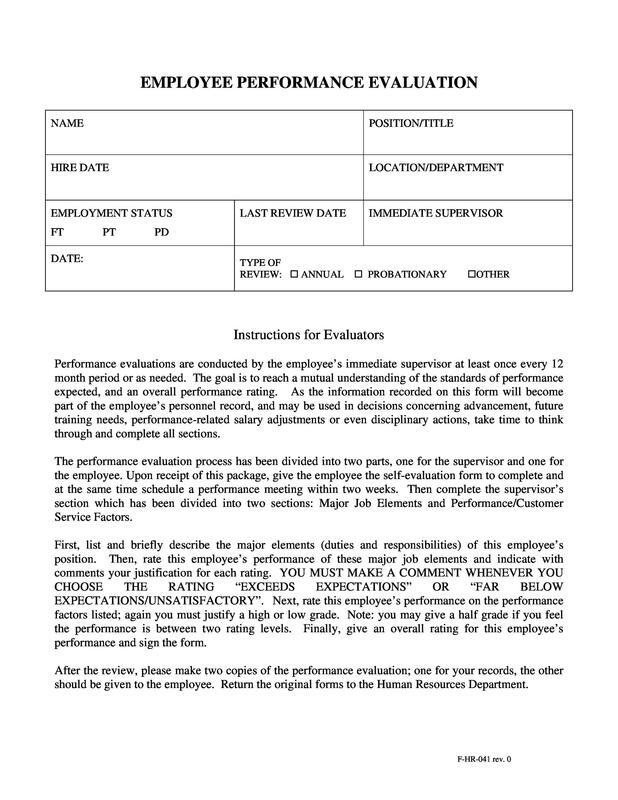 For example, the performance appraisal system will can use a rating scale to measure performance using excellent, average, and poor. 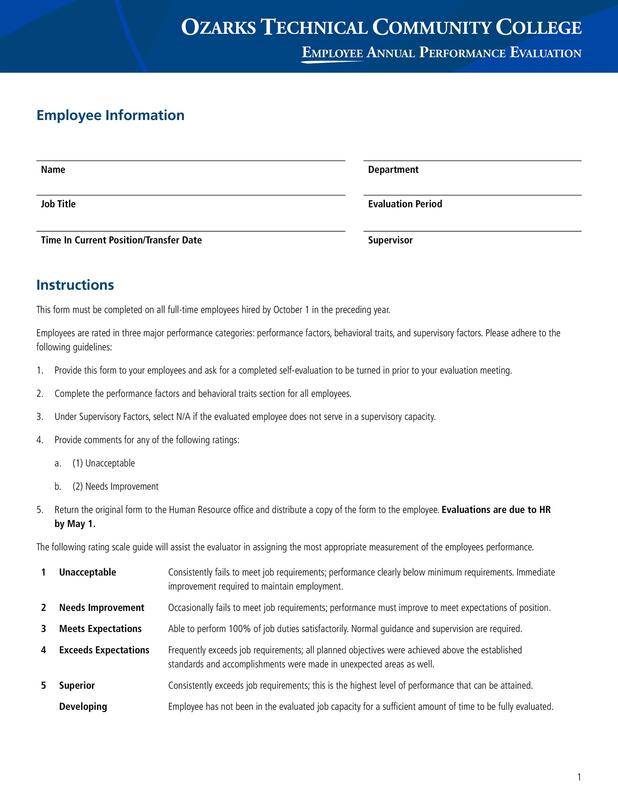 The employee performance review will list certain targets that employees must meet in order to obtain a good appraisal. 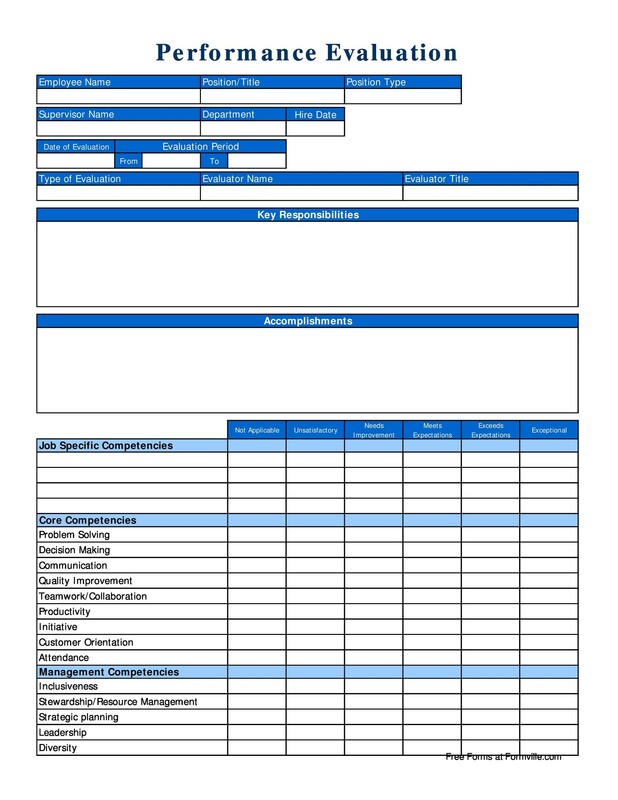 A company will usually conduct performance appraisals on an annual basis; however, some organizations, performance reviews might be implemented bi-annually. 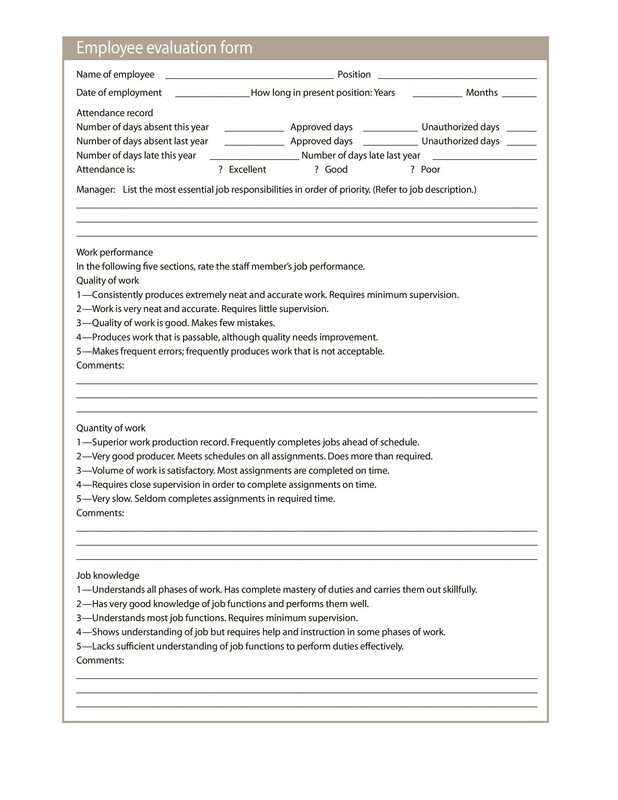 Irrespective, the manager or supervisor will compare previous years’ appraisal with that of the current one to decide whether the employee has shown an improvement or not. 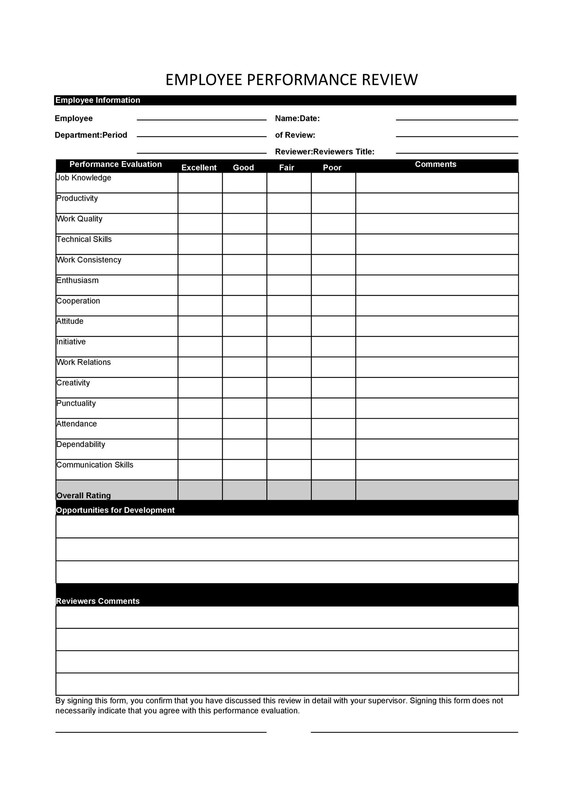 This will then be used for making key decisions on promotions or salary increments. 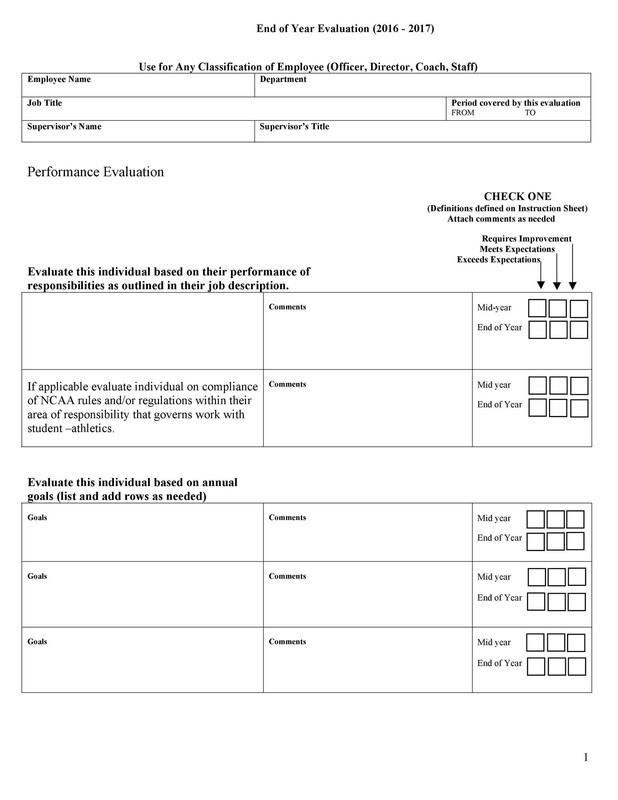 Performance reviews serve as great tools for allowing managers and owners to make accurate decisions on terminations, promotions, and transfers. More importantly, it helps in ensuring all employees remain productive and are able to meet all tasks and goals for the betterment of the organization or enterprise through effective personal development. Furthermore, monitoring performance appraisals helps firms in deciding what skills employees are lacking as a whole and which skills and training it needs to invest in to hone their professional acumen to encourage higher organizational efficiency and growth. The use of performance appraisal systems also refines and enhances the human resources function. Decisions concerning recruitment criterion and skills training all can be influenced positively as a result of using performance appraisal systems. 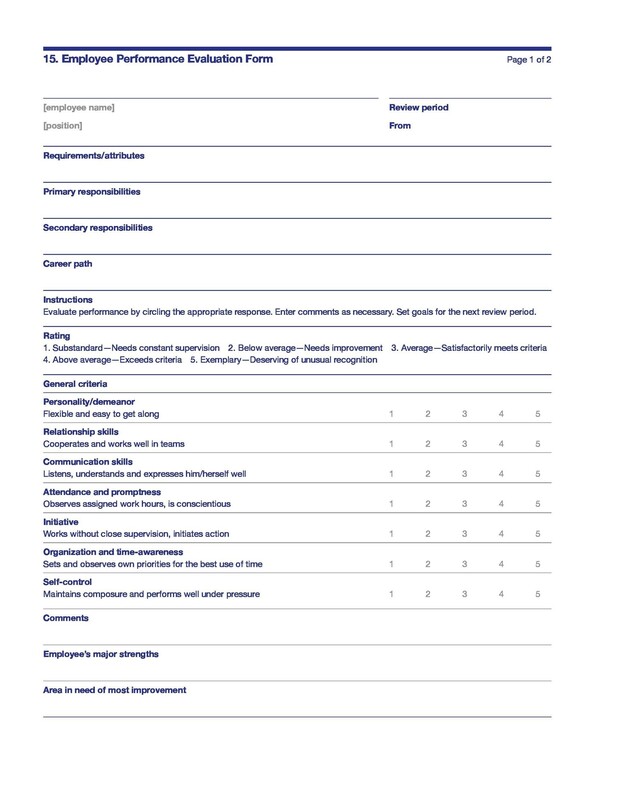 The effectiveness of using performance reviews lies in the ability of managers or owners of the business to identify key strengths and weaknesses and focus on areas of improvement to meet enterprise goals and objectives. How a business decides to do this will differ with regard to the needs and requirements of a particular industry or workplace setting. 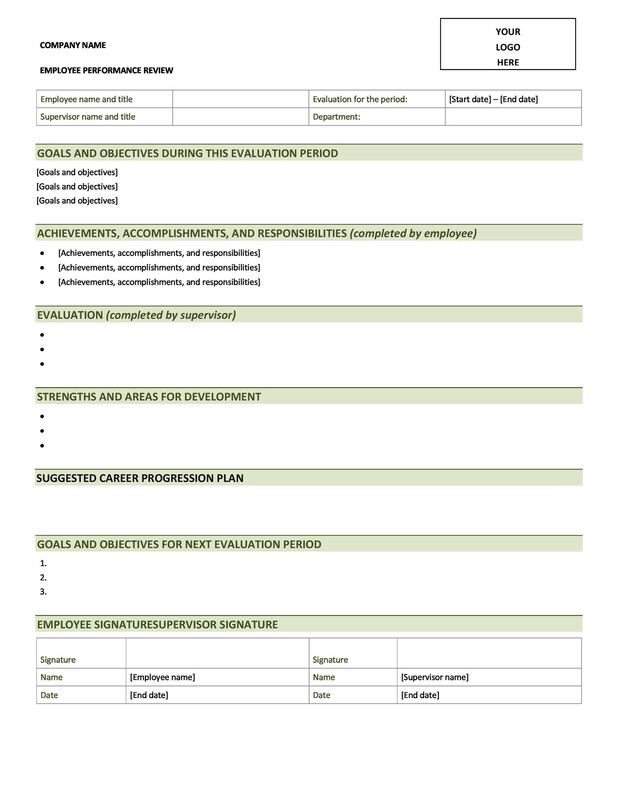 Behavioural: in this employee appraisal system, the organization will make a checklist of different aspects to make accurate judgments on the output and performance of an employee. Factors, such as decision making, dependability, team work spirit, communication, and project management skills, may be taken into consideration to give an overall score rating. 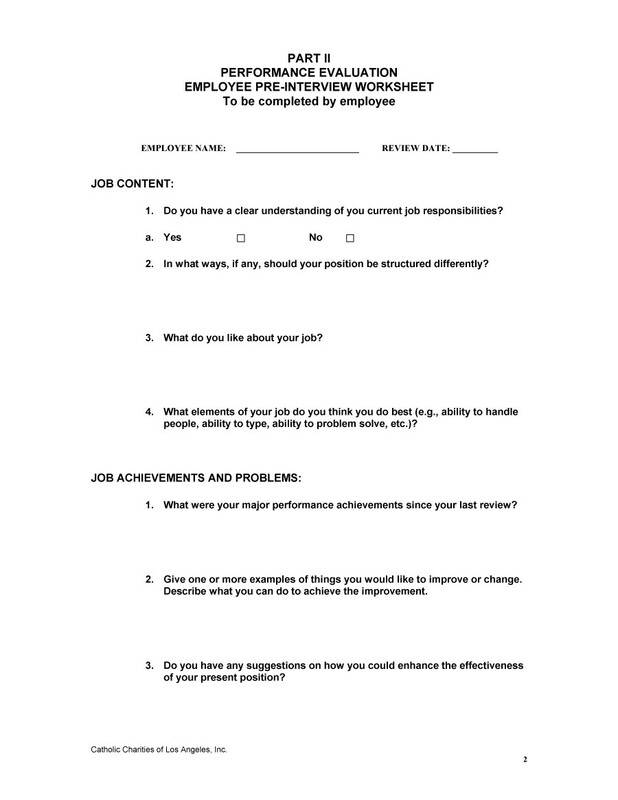 360 degree: this employee evaluation method will seek feedback from a number of high ranked personnel, including the supervisor, line manager, team members, or even the CEO in the case of a startup or small business. 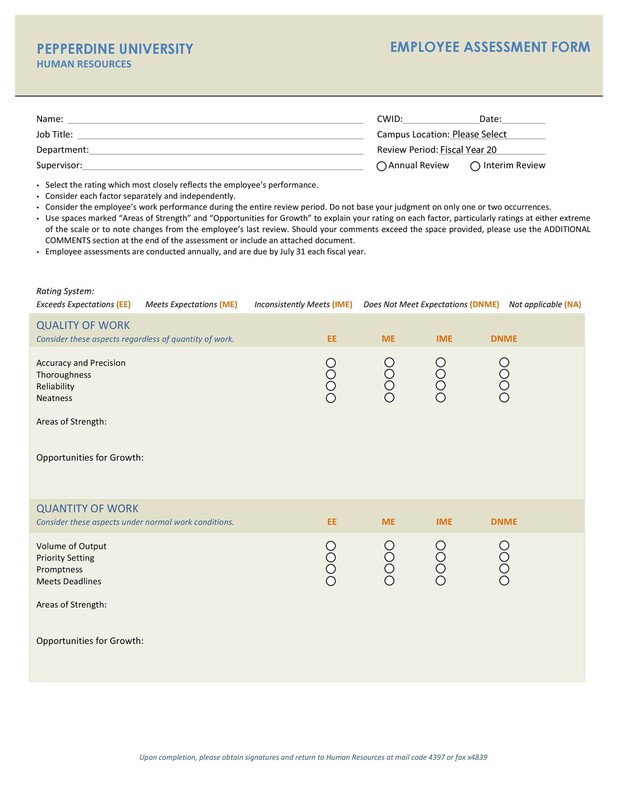 The purpose of this appraisal system is to have a complete picture of the employee in terms of its performance and feedback for careful assessment. Objective-based: considered to be a more contemporary form of performance appraisal, this method works by the employee or line manager agreeing to a specific set of targets and goals that need to be met by the employee to be considered worthy of a promotion or higher salary. The benefit of this appraisal system is that the employee has greater clarity with regards to what he or she needs to work towards to fulfill personal development goals. Psychological-based: in this performance appraisal system, all essential information regarding the emotional and psychological aspects of the employee is gathered for a fair and accurate evaluation. 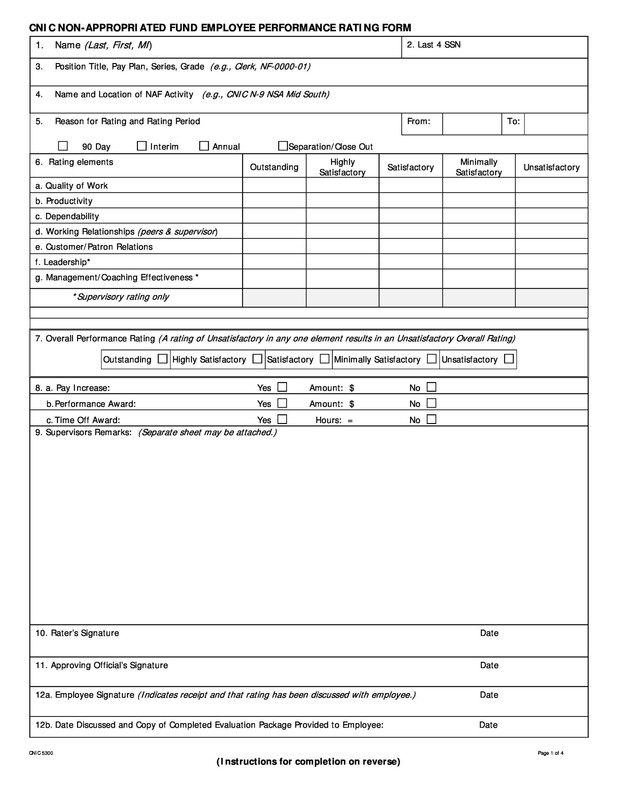 The line manager or supervisor may collect details, such as analytical skills, emotional stability, situational assessment, and more. The results of such tests give managers good insights about the psychological makeup of an employee through which they can recommend transfers into relevant function departments or teams. 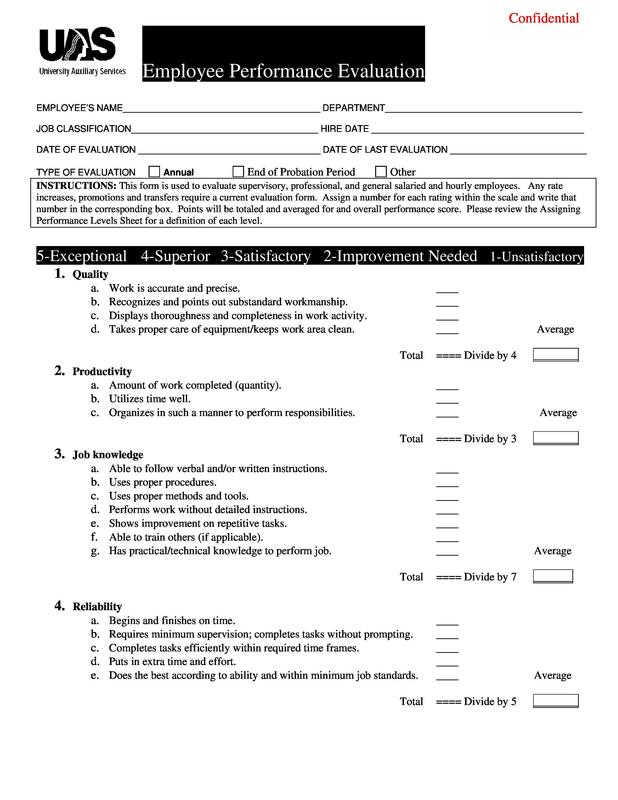 A performance review template might comprise of data collected of an employee with regards to certain and relevant criteria on which the performance will be evaluated for appraisals, terminations, and transfers. 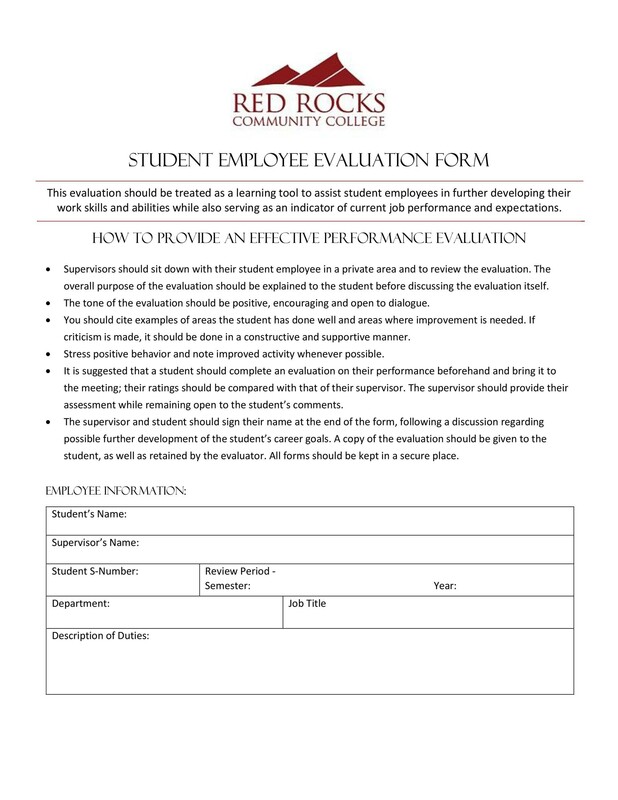 Although the organization or company will decide what these aspects should be for a fair assessment of the strengths and weaknesses of its employees, we will look at a performance review form for employees of a university. 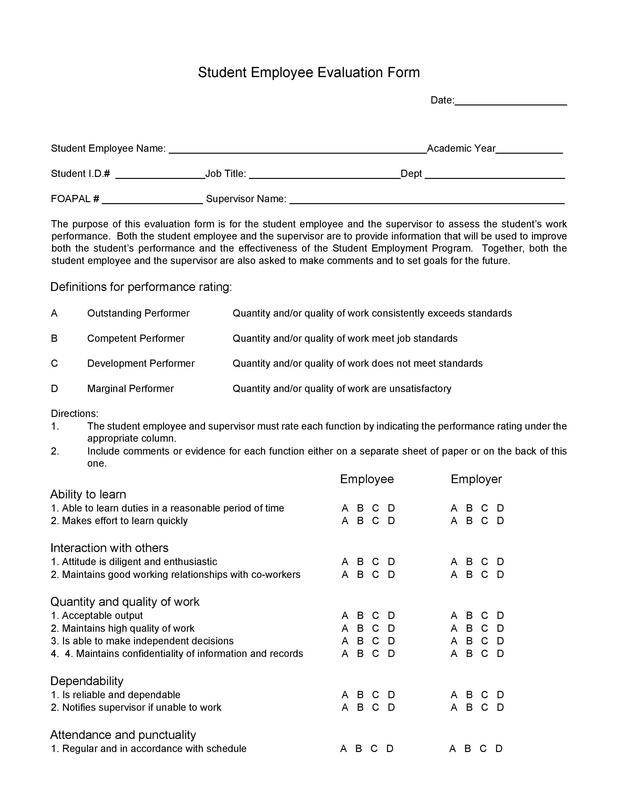 The university evaluates the performance of its employees using a checklist of important qualities. Some of these include work product, cooperativeness, adaptability, communication, problem solving, project planning and execution, and dependability. 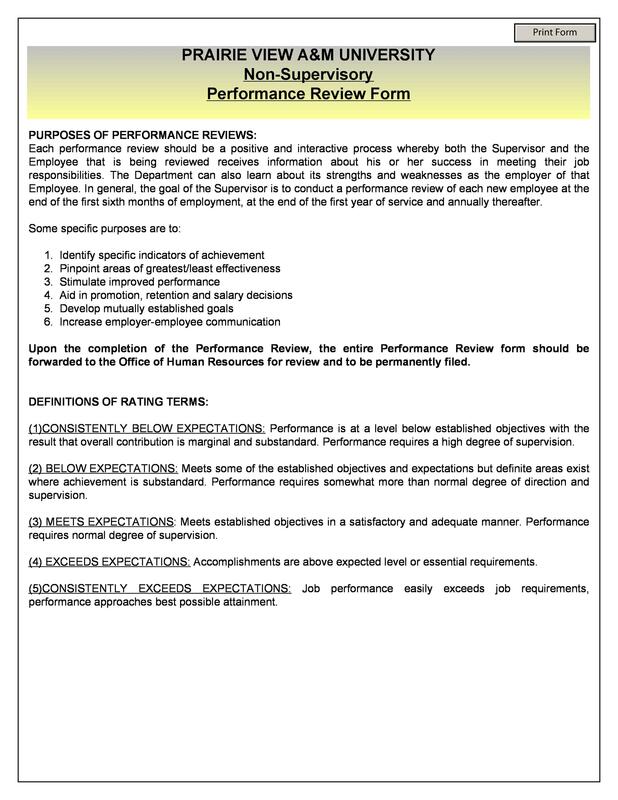 The score of all aspects will be aggregated to arrive at a total score for performance appraisal. 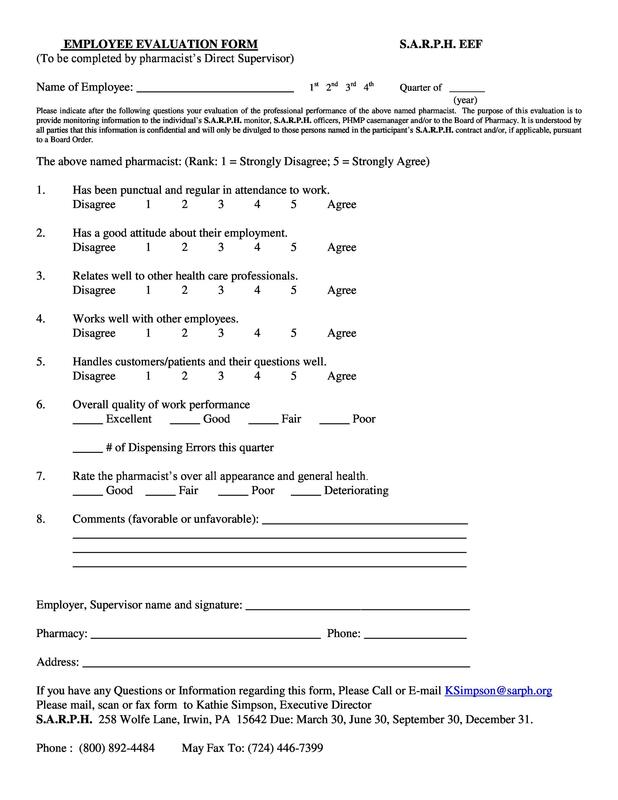 In other cases, the same rating scale can be used but with slightly different factors from unsatisfactory, marginal, effective, highly effective, and outstanding. In some cases, the factor ‘Not Applicable’ may also be used in situations in which the criterion does not apply to a particular position or function. 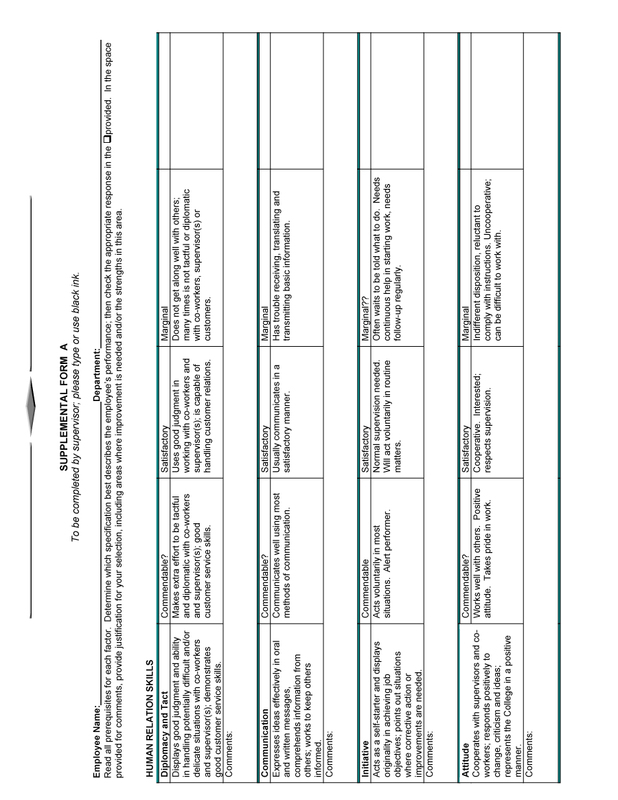 How to Prepare a Performance Review Form? 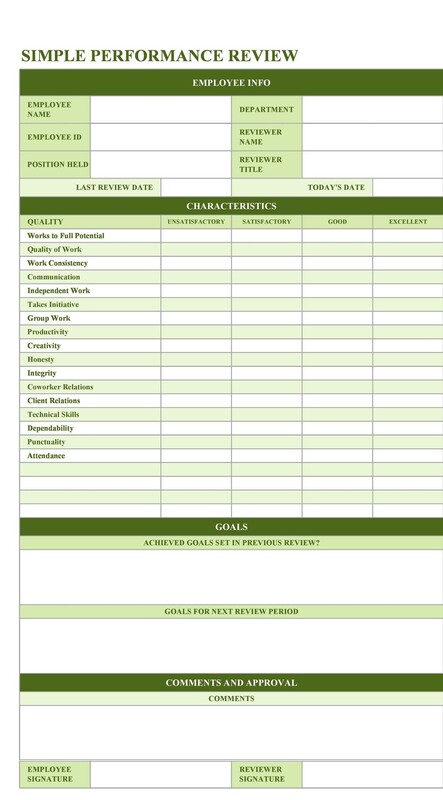 If you have never prepared a performance review form before, the task might seem daunting for you. However, with a thorough step-by-step process and important tips, you can write one in no time. 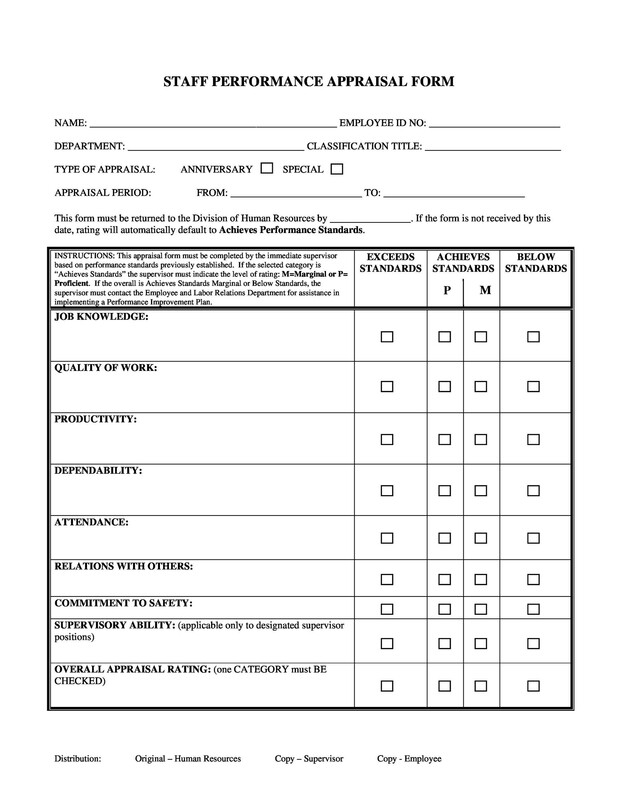 Here are a few things you need to ensure when writing a performance review form. 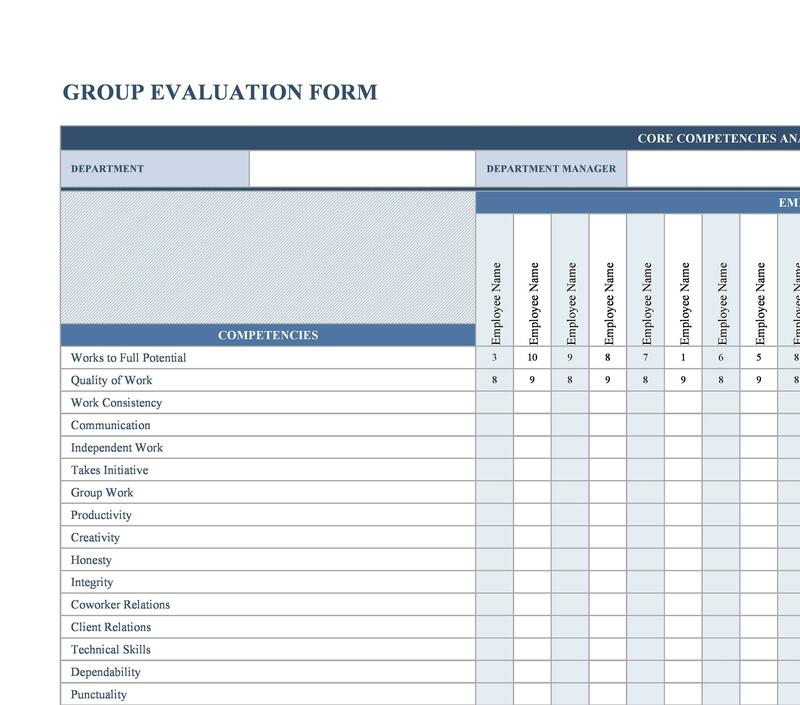 The whole concept of having an appraisal system is to ensure all employees are working productively to further your business goals and objectives. 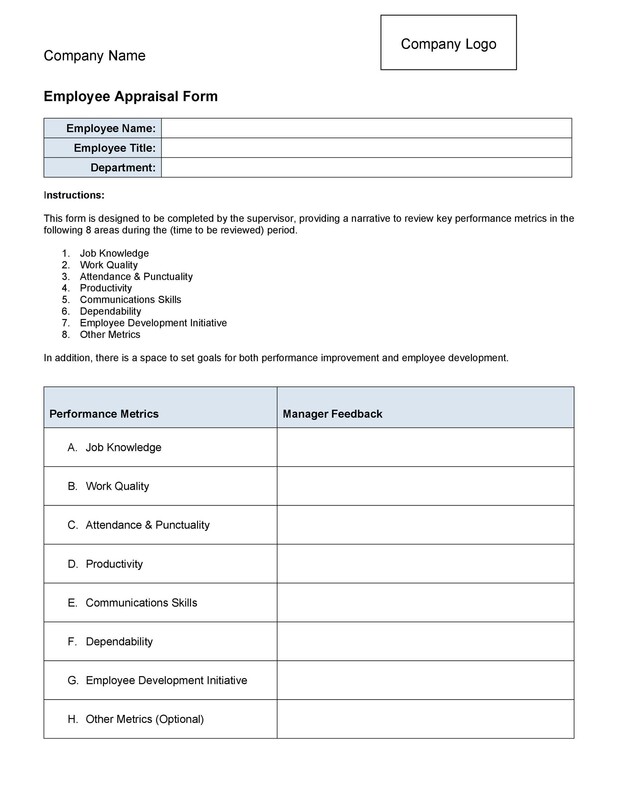 Preparing a performance appraisal system without considering your business goals will simply be a waste of resources and time and fail to give you a good snapshot of how your employees are progressing in their duties and tasks. 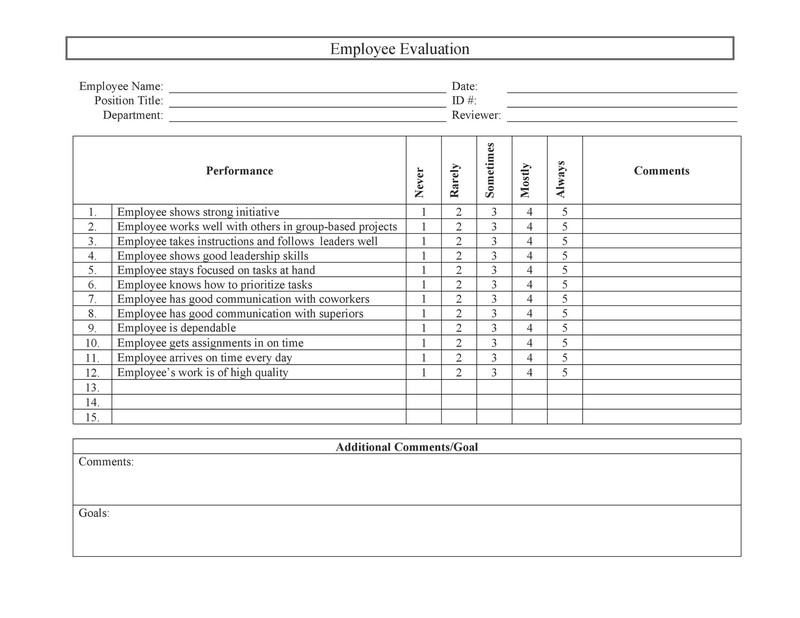 The first thing you should ensure your performance review system has is that it should be comprehensive. This means that in addition to measuring their performance based on multiple aspects of the job, it should also establish measurable, specific, achievable performance targets that employees can meet for their own professional development. 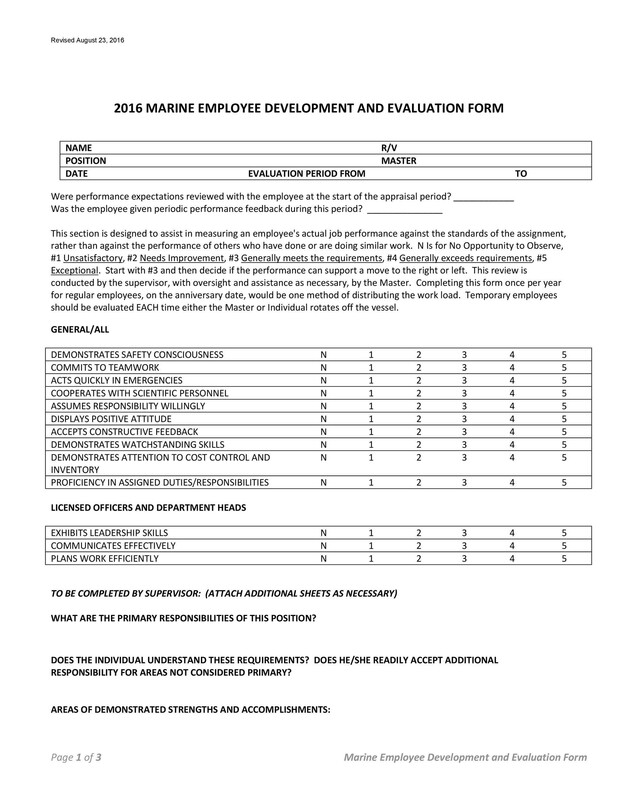 Decide what your goals and objectives for the upcoming year are and use it as a basis to make accurate employee evaluation forms and reviews. Whether you are pursuing survival or growth in the coming year, make sure that your employees are judged accordingly for a fair representation of success for your employees. 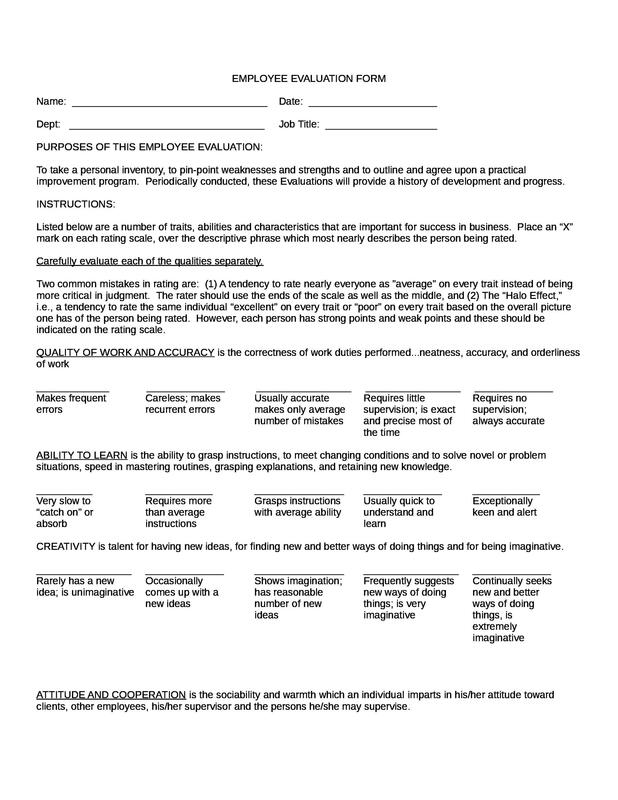 The employee evaluation process should also be conducted in an organized and periodic manner. Depending on your financial progress and expansions goals, you can choose to either conduct it once or twice a year. Some enterprises, such as sales-driven businesses, will often use quarterly performance reviews to ensure all performance targets are being met and fulfilled in an organized manner. It also enables them to keep track of employee weaknesses and opportunities for growth far more quickly to capitalize on new business opportunities and scaling benefits. You should also ensure that the performance of employees is judged according to a checklist of factors that is relevant for their purpose and job. For example, the performance criterion for an employee working in the finance department will vary slightly from an employee working in the marketing department. In the case of the former, aspects relevant to accuracy, problem solving, and analytical thinking will be relevant. However, in the case of the latter aspects such as communication, strategic thinking, creativity and innovation, and multitasking may be more appropriate. The important thing to recognize is that as a business becomes more specialized in its functions, using the same evaluation criterion for employees in different departments and made responsible for different duties and tasks will not be effective. Regardless of when you decide to conduct your performance appraisal of your employees, bear in mind that each review only offers a snapshot of employee performance. Although this may be sufficient for granting higher salary increments, in the case of promotions or terminations, it is recommended that you judge your decision based on the entire duration of their work period. Consider how employees performed in the last 3 or 5 reviews and see whether they are capable of taking the organization to newer heights. If so, then they will most likely deserve a promotion. However, if they do not, then it is better to have them replaced with a more productive employee. Making such decisions is not always easy; but, by considering their performance appraisal reviews of their entire work cycle, it can help you make more accurate decisions. 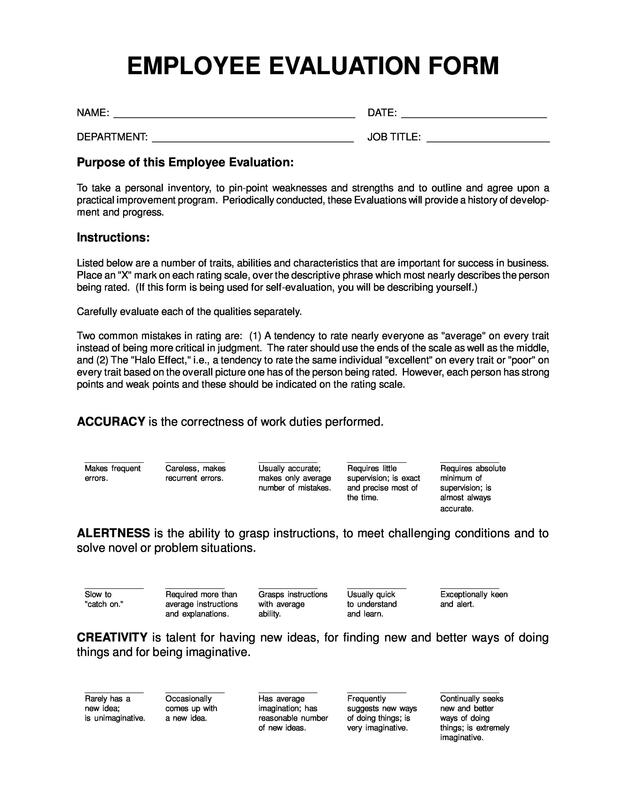 Despite the many benefits of using written employee evaluation forms, it nevertheless is a one-way communication from the manager to the employee. It is thus important that the manager or owner of the business have a face-to-face meeting with each employee to explore the strengths and weaknesses of the employee, identify problem areas, and what practical steps or methods can be used to meet specific performance targets. 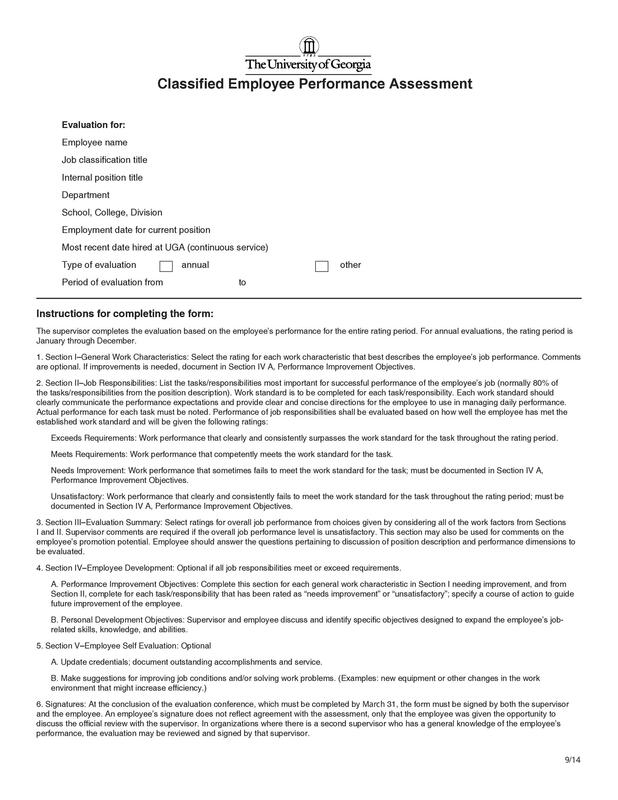 This will be essential in clarifying certain instructions and areas of concern of the manager to the employee and eliminate any misconceptions or misunderstandings with regards to meeting certain business goals and objectives. 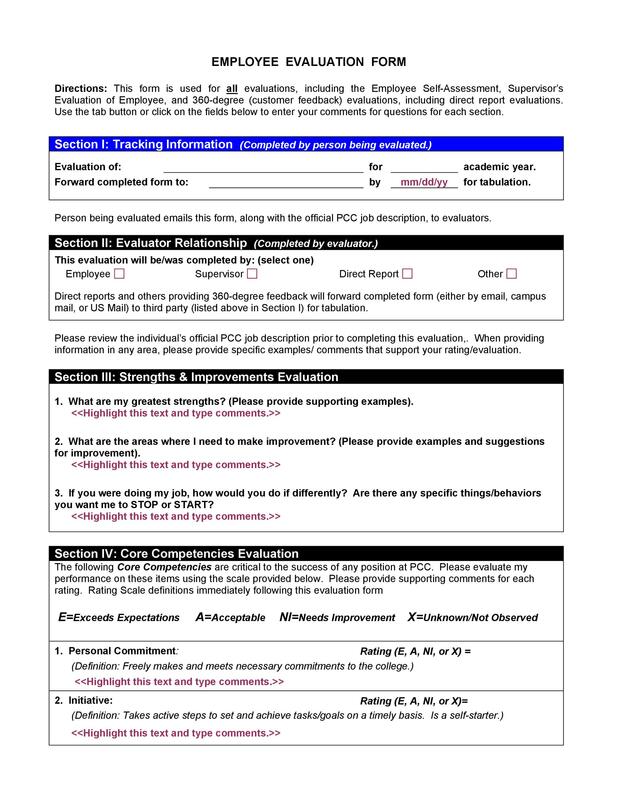 One reason why many business owners or managers may not see the point of using performance reviews is because they do not provide productive use of employee evaluation comments. Employers may not provide words to encourage them to work harder and with greater enthusiasm. Of course, this does not necessarily mean that employers can’t criticize their work or hold them accountable for significant blunders in their duties. However, the important thing is to provide constructive criticism and offer feedback in clear and concise terms. 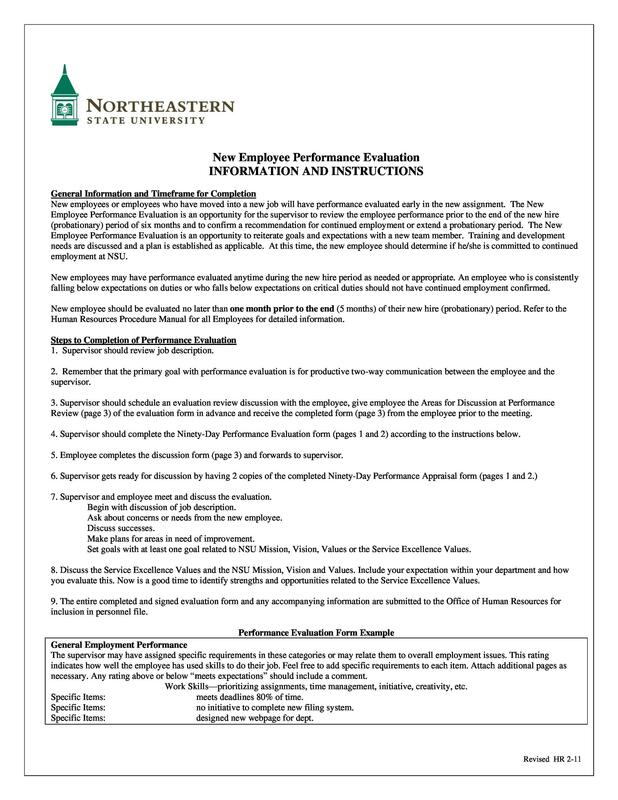 Furthermore, it is also important that performance targets be set in accordance with the ability of the employee. Not all employees can be expected to work with the same intensity, focus, and dedication. Rather, each should be analyzed according to how they can provide their best output so that the resources of the business are utilized in the most efficient way possible. When identifying areas of improvement, be delicate on what words you use to communicate weaknesses of an employee. Instead of using the words ‘pathetic customer service’, use ‘poor communication skills’. This will provide employees food for thought with regards to what skills they need to acquire or improve to do their job more effectively and work towards advancing the goals of their company.